People often ask me how I learned what I know about Online Marketing. One hot July morning, about a decade ago, I found my way to an office building above an adorable English-style bakery in Jerusalem’s Talpiot neighborhood. As I opened the glass doors and stepped inside, I was no longer a graphic designer for a magazine. I was no longer a QA for an emerging start-up. On that hot July morning about a decade ago, my Online Marketing career began. “What’s a keyword” I replied. “You’ll figure it out” he said as he walked out of the room. Almost ten years later, I’ve made the journey from Jerusalem to Kansas City and I enjoy sharing everything I’ve learned with people like you. When I was discovering the nuances of the Internet, I couldn’t reach out to an expert on Twitter. Twitter was less than a year old. 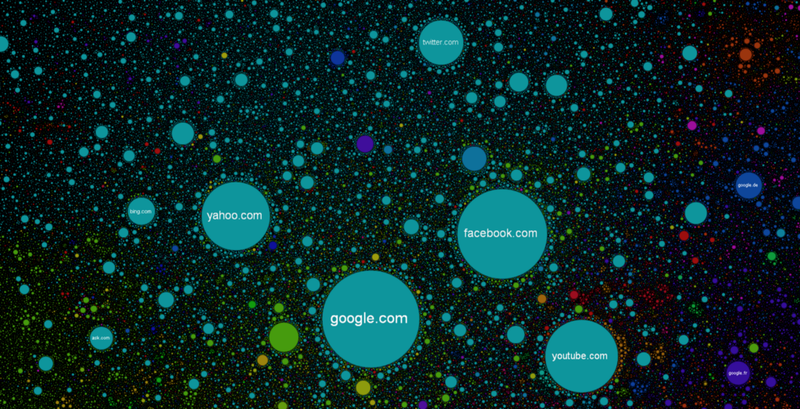 Facebook was still a private network. Luckily, I was surrounded by experts who gave me a great foundation in Search Engine Optimization, just as the industry was becoming more mainstream. Today, there’s less figuring it out, and more testing of ideas; proving concepts; improving on previous successes. There are countless resources, and experts, available to guide you along the way and if you’re reading this, the chances are you asked me, or someone like me, something along the lines of “how do I learn more about social media”? or “I’m interested in learning about SEO, where do I start?”. The answers are at your fingertips. There’s a community of Online Marketers willing to help you and there’s plenty of resources for everyone — from beginner to pro. 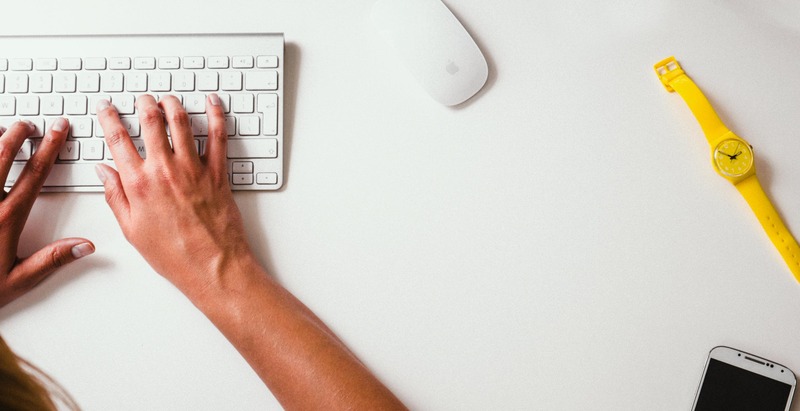 Here are three of the resources I recommend becoming familiar with if you want to become active in the Online Marketing space. In my mind, Moz, have built an undeniable authority in the inbound marketing community. 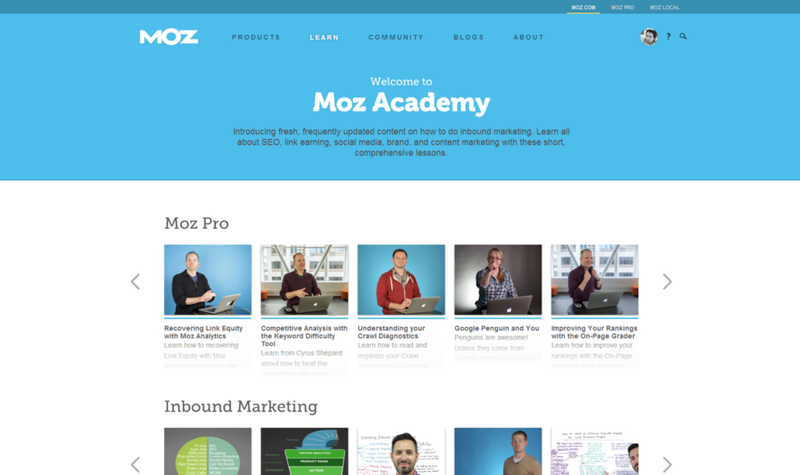 If you’re looking to get started in online marketing, the Moz Academy is a tremendous resource. Moz really believe in sharing information with the goal of making the Internet better for everybody. I believe this philosophy, embodied by TAGFEE, separates excellent Online Marketers from people trying to make a quick buck using the Internet. Whether consciously or not, most Online Marketers embody TAGFEE in their work so they’re not ashamed to share successes and failures. This makes the Moz Q&A a valuable resource. If you’re interested in the Search side of Online Marketing, take a look at the Beginners Guide to Link Building (props to @paddymoogan for writing this) recently published on the Moz Blog. The landscape of online marketing is always changing so no one should ever think that they are too seasoned for a little refresher. 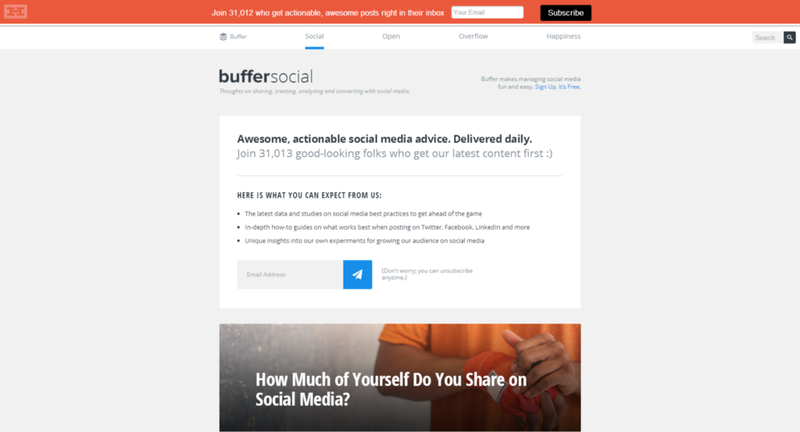 Buffer is known for their software that allows for easy scheduling and sharing content. They have a master content creation team too. Awesome, actionable social media advice. Delivered daily. Join 31,013 good-looking folks who get our latest content first . Yes, I’m one of those good looking folks! The Buffer Blog is full of great ideas for social media campaigns and most importantly, they are both actionable and current. Social media best practices really do change often. Good linking strategies made way to social media, which made way to #hashtags, which made way to viral video, which made way to like-gating which made way to infographics which made way to Twitter cards… The list goes on. Some practices stay evergreen and build upon previous methodologies, others disappear completely so it’s useful to know what is current. Buffer, like Moz, embrace transparency and community so they will share ideas that work. 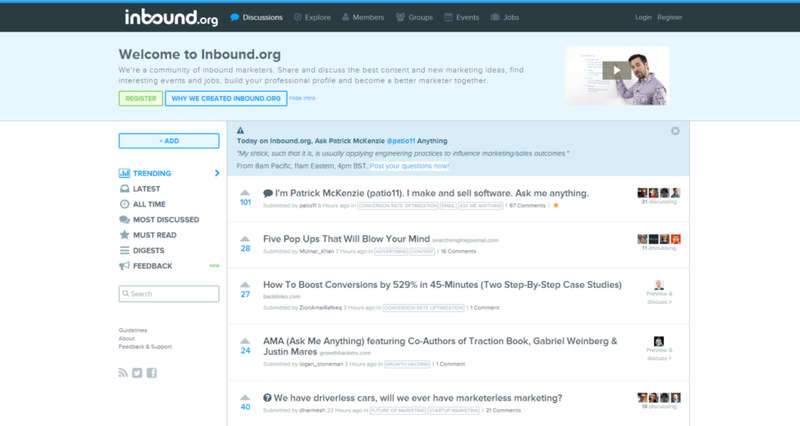 Inbound.org was co-founded Rand Fishkin (Moz) and Dharmesh Shah (Founder of Hubspot) and is managed by Ed Fry. Inbound.org captures the sense of community that is the essence of the online marketing world. Inbound.org is a diverse community of inbound marketers tens of thousands strong who care deeply about making marketing better for people. The goal of Inbound.org is to enable great content and people from the world of inbound marketing to get noticed. There’s an amazing community of bloggers, marketers and enthusiasts passionate about non-paid channels like SEO, social media, content marketing, conversion rate optimization, etc. and we believe they deserve a site where sharing great content is controlled by them. Marketers at every stage of their career can turn to Inbound.org to learn from each other, share and discuss trending topics and become better marketers. With a field as fluid as ours, I don’t think formal qualifications or courses are the right direction. I might be wrong so if you’re really looking for some formal training, start by reading the discussion at What are the best marketing courses you’ve taken? (Paid and Free). I do believe that peer-driven education and knowledge sharing is invaluable. I look forward to seeing my community peers at industry events and I make an effort to keep in touch with them between conferences. The knowledge and information shared at a conference lives longer than the event itself, like the links I collected at MozCon 2014. At every conference, people will share their insight, their notes and their takeaways. Try and establish mentor system with someone in the industry, ideally someone who works in a similar industry so you can share what works, and what doesn’t, and touch base often. If reaching out on a public forum seems too daunting at first, feel free to reach out to me. I’ll do what I can to answer or point you in the right direction.